Great films have the ability to take the mere experience of watching a movie as entertainment and provide a profound emotional transformation. A great movie strikes a chord with your emotions – whether it’s fear, laughter, sadness, adrenaline etc. For lack of a better word a great film hits you in the gonads. Few films hit me in the gonads this year. There were lots of really good films but few which hit me where it counts. Click on the film titles to link to my reviews of each film. Two films hit the gonads harder than any other this. Danny Boyle’s thrilling journey into the mean streets of Mumbai hit me with extreme force. Via the Indian version of “Who Wants to be a Millionaire” we get to see the Dickensian life of a young Indian street kid and his lifelong journey to reconnect with the love of his life. Music and imagery bombard us with such exhuberance, you’ll leave the theatre with a renewed sense of energy. The second film which stands high above all others this year. A triumph on all levels of filmmaking. By far the most emotionally truthful film of the year. Mickey Rourke embodies the sad, tragic life of a has been wrestler. "The Wrestler" is as funny as it is tragic and triumphant. A phenomenal film. Ron Howard has never been this high on any of my Best of Lists. Usually his workmanlike direction and middle-of-the-road inoffensiveness makes for tepid viewing. 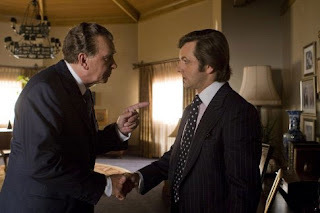 Sure “Frost/Nixon” is not controversial cinema but it is sharply drawn and challenging political film about two complex men going head to head on national television with personal reputation and political history at stake. I seemed to be the only one who even saw this film let alone put this on my top ten list. Andrew Garfield’s BAFTA Award winning lead performance anchors this gem about a young reformed murderer who gets released into society and how he adapts to a new life and a new identity. Michael Haneke’s remake of his own 1997 film is as frightening as horror movies come. Other than his own original there is no other film to compare to this disturbing experiment in terror. Haneke’s home invasion flick is an assault on its audience, a concerted attempt to mimic the terror, discomfort and agonizing pain of a home invasion. Haneke hits the gonads with shockingly visceral fear and dread. Be warned about this one, it’s for highly disciminating tastes - of bad taste for some. This German/Turkish co-production went through the festival circuit in 2007 and received its theatrical release early this year. Told in the multinational character hopping style of “Babel” and the complex religious themes of Krzysztof Kieslowski, director Fatih Akin’s film tells the story of a young man who travels from Germany to Turkey to find the family of his father’s deceased wife. As the story changes its point of view we get a unique viewpoint into how the lives of Akin’s characters have unknowingly affected each other. John Patrick Shanley’s morality tale of a nun who accuses a priest of sexual molestation with no evidence other than her suspicion is a great showcase film for a quartet of great actors - Philip Seymour Hoffman, Amy Adams, Viola Davis and especially Meryl Streep. Sure Batman was a great film, but we all expected that. 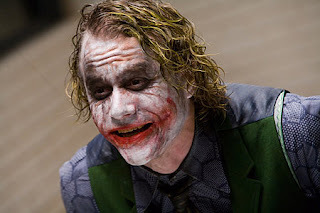 “Iron Man’s” greatness and success was so unexpected it deserves higher recognition that “The Dark Knight”. Great casting elevates the standard comic book genre origin story into accessible and highly entertaining cinema on all levels. 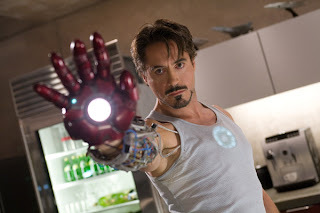 Downey Jr. is interminably magnetic as Tony Stark and, Gwyneth Paltrow'snd Jeff Bridges' infectious personalities breath life in their template genre characters. No need to shower this film with more praise, but the IMAX projection was the event of the year, and should revitalize the theatrical experience. 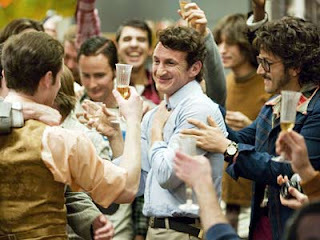 Gus Van Sant’s fine biopic of Harvey Milk is mainstream enough to be accessible for general audiences, but with enough of his personal stylistic exclamation marks to lift it above most other films of the genre. I welcome this profound new addition to the art of animation more than any of the films made by Pixar. Since the advent of computer animation we’re continually bombarded by decent but mostly disposable films made for kids (though enjoyable for adults). Ari Folman’s war memoirs of the 1982 Israeli/Lebanese War is as creative, original and inspiring as anything in “Wall-E”. Bryan Bertino’s debut feature has the same innate skills of visceral fear as a young John Carpenter. His task on the familiar home invasion subgenre of horror is one of the scariest films I’ve ever seen. Sally Hawkins’ portrayal of a permanently effervescent school teacher is effectively annoying. Her relationships with her family, friends and even her driving instructor stem from a disarming happy-go-lucky personality. Who knew David Mamet watched Mixed Martial Arts, let alone was a black belt in Jiu Jitsu. His passion for this sport is palpable as he crafts a unique sports film - part con game, part philosophical essay on the art form. Mamet slyly subverts our expectations, crafting a clever and thought-provoking mix of "Rocky" and "House of Games". A great low radar horror film about a group of kids under siege by an unknown plague atop an ancient Mayan ruin. This authetic self-produced indie film makes a profound statement on violence, reminiscent of Sam Peckinpah’s “Straw Dogs” or Terrence Malick's "Badlands". A benchmark in the new genre of French horror. This astonishingly violent thriller combines bloodcurdling gore with great low level John Carpenter-esque tension. Though the second half walloes too much in the animated cuteness of the robot, the first half makes it the most cinematically inspired of all the Pixar films. Simply stunning telling of Frenchman Philippe Petit’s attempt to cross the twin towers by high wire in 1974. Using truly cinematic recreated footage, James Marsh’s doc is crafted with more suspense and tension than most thrillers. An almost unbelievable story of the first family of surfing, The Paskowitz’s, who took their family on a camping trip of surfing for over 20 years. A stunning film about the global phenomenon of ‘breakdancing’ – an artform which has expanding in creativity and credibility since what you remember from the 1980’s. A great documentary about the joining of two artistic institutions – Cirque du Soleil and The Beatles. Werner Herzog's idiosyncratic story of his journey to Antarctica. If you can’t believe the single concept of an eight year old not understanding that people who where striped jumpsuits living behind a fortified fence with barbed wire is not a prison of some sort may like this film. THANKS FOR READING. HAPPY 2009! Thanks for this exhaustive and insightful recap of 2008. I've been remiss in my film watching and plan to use this guide as a starting point to catch up. Happy new year and keep up the great writing. Nice work Alan. Now I have a concise To Watch list. I absolutely agree with your number one; however, I'm surprised you didn't like Let the Right One In. About "Let The Right One In", for me, it was one really good scene at the end, but everything else was slow and uneventful. I was very, very close to seeing Boy-A in the theater and then for some reason skipped it. One of the AICN guys featured it on their 08 list so you are not quite alone in acknowledging it. Time for me to go and rent this one. Al, I am really impressed with this tour de force blog. Keep up the excellent reviews.